It’s raining almost every day in Pune and from what we anticipate, it’s not going away anytime soon. In fact, heavier rainfall and thunderstorms are coming your way. 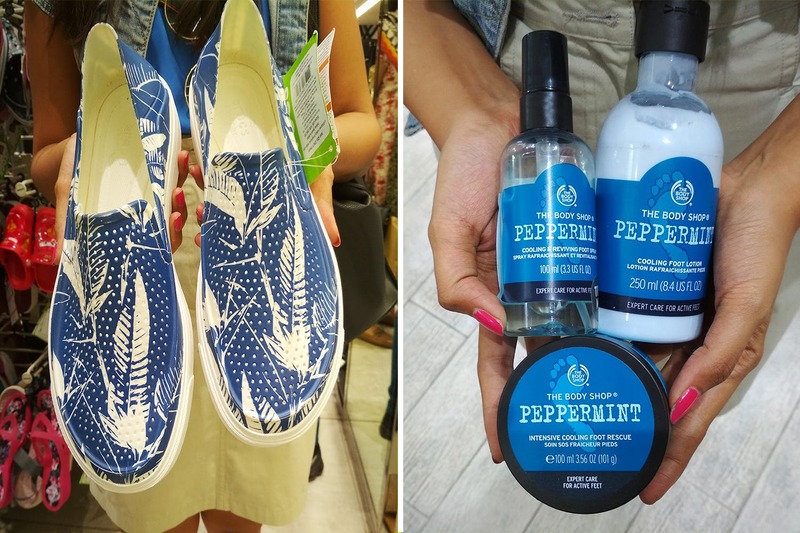 So, be monsoon-ready with these 5 products that we picked from Westend Mall for as low as INR 400. Wildcraft’s new range of rain cheaters is bright, light-weight, packable and absolutely waterproof with sealed seams. For our monsoon haul, we picked this racing red rain-wear for INR 1,799 and this vermilion outwear for women for INR 1,999. The one thing that is an absolute necessity during monsoon is a good pair of waterproof shoes that are quirky and comfortable. We picked this men’s pair of leaf-print blue Crocs (from Regal) with pores on it, priced at INR 4,795. Ladies, you must check out this super-fun Boho-print leafy green rubber shoes by Crocs for INR 2,795. Monsoons are here and that can only mean frizzy hair, oily skin and bad feet. We went to Bodyshop at Westend and picked up this banana-based shampoo and conditioner, for INR 954 and INR 645 respectively. For a glowing-looking face, we bought the Himalayan charcoal mask for INR 1,895 that is great for deep-cleansing, opening up the pores and getting rid of those blackheads. Keep your feet happy and supple during the rains with products like peppermint scrub for INR 945, foot spray for INR 825 and peppermint foot lotion for INR 995. You cannot think of the rains without thinking of cute umbrellas. We picked these funky floral-printed umbrellas in black and blue from H&M for INR 699 each. With monsoons, comes several problems. Most importantly, you need to keep your phones, wallets and other essential stuff safe, away from water. Solution? Check out these fun and colourful zip-lock bags from H&M, starting at INR 400.